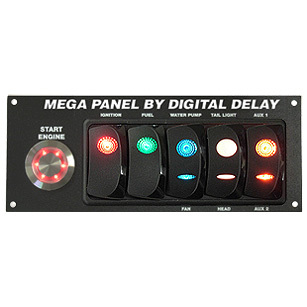 The Elite Mega Dual View Dial Panel V2 is our top of the line Switch Panel, with more features and the highest current capabilities of any switch panel on the market. 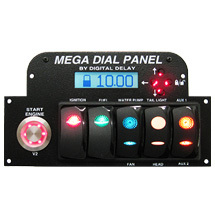 Digital Dial-in System – An exclusive feature of the Switch Panel is the built-in Mega Dial V2 controller which controls the Mega Dial Dual View display board. 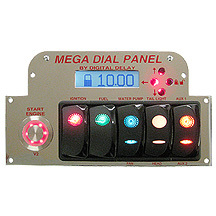 The completely redesigned Mega Dial V2 is way ahead of the competition and has several improvements over the original classic Mega Dial or the Cat 5 Mega Dial. Wiring – We’ve simplified how the Controller is connected to the Display Board – just two plain wires, one for data out and one for data in. No special phone cord, CAT5 cable, or fiber optic cable needed. Any spare piece of wire can be spliced in for quick onsite repairs. 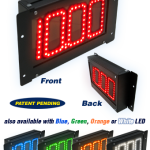 Multiple Boards – It’s the only display system on the market that can run up to 5 Display Boards at one time. Simply daisy chain as many displays together as you want, without any additional hardware. Changing Times – Thanks to a new interface and software, changing times is easier and faster. Day and Night intensity settings – 6 display board intensity levels for both Day and Night. 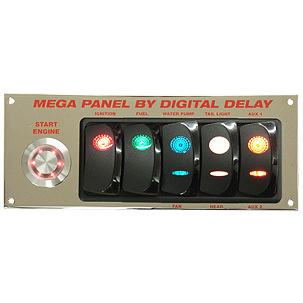 Self-Dimming – Can dim the display automatically when the taillight is turned on. Stores 2 ET – Has the ability to store two times in memory allowing for large number changes without a lot of time wasted scrolling. 1/4 mile and 1/8 mile racers can store 2 different dial-ins or a super class driver can store his ‘super,’ and his bracket dial in. Lock Feature – This exclusive feature will lock the dial value in memory. You can now avoid unintended dial-in changes by mistakenly hitting the Control Box. Other Exclusive features – Individual LED drivers so if one LED goes out it does not take out the entire row; new smaller case, ultra-high speed data transfer; and the ability to turn off either side of the dual view display. Turning off one side of a Display facing a driver keeps the light from being a distraction. Switch Panel – The sleek and compact Switch Panel is the main part of the system and is made to easily fit into a dragster’s dash, or mount with our Roll bar Mounting Bracket. The lit starter push-button and premium grade switches combine a new age design with functionality. The ignition and fuel pump switches are dual position switches while the Fan/Water Pump, Head light/Tail light, and Aux-1/Aux-2 are all three position switches. 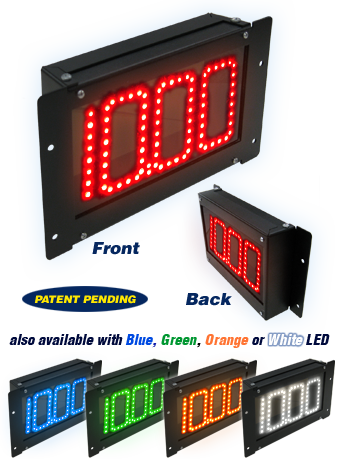 Elite Relay Board – built with durability in mind, and is capable of supplying up to 100-Amps. Each output includes its own status indicator light to let you know when it’s on. 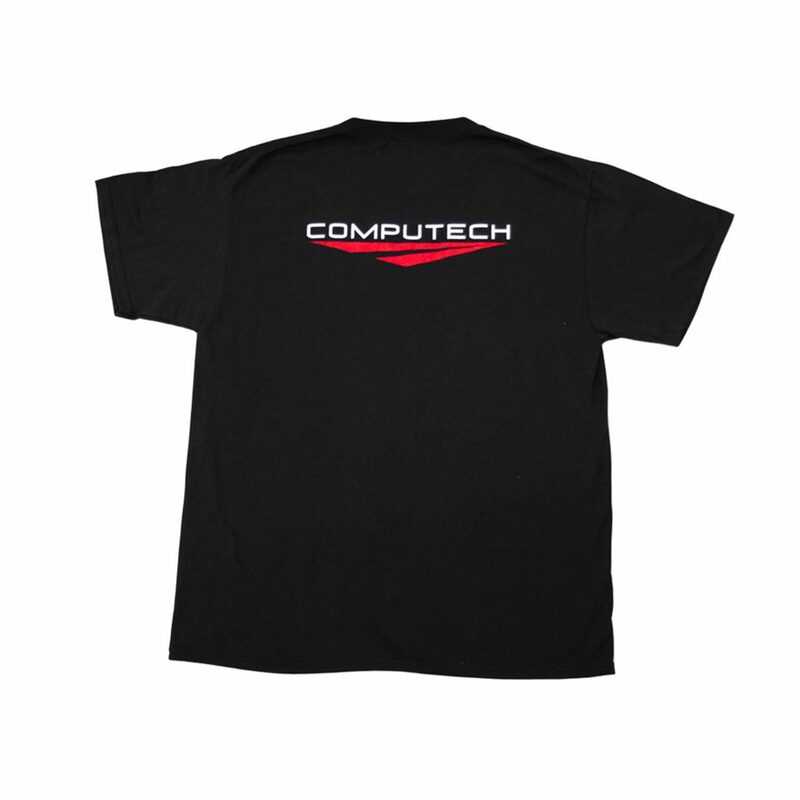 Each output also has a fuse, with its own status indicator light to indicate if a fuse is blown. All of the outputs are rated at up to 40-Amps. The relay board also includes an Emergency Off feature, a high current Shift output, and the “Dual Select” feature which allows you to individually customize how the three position switches control the outputs. 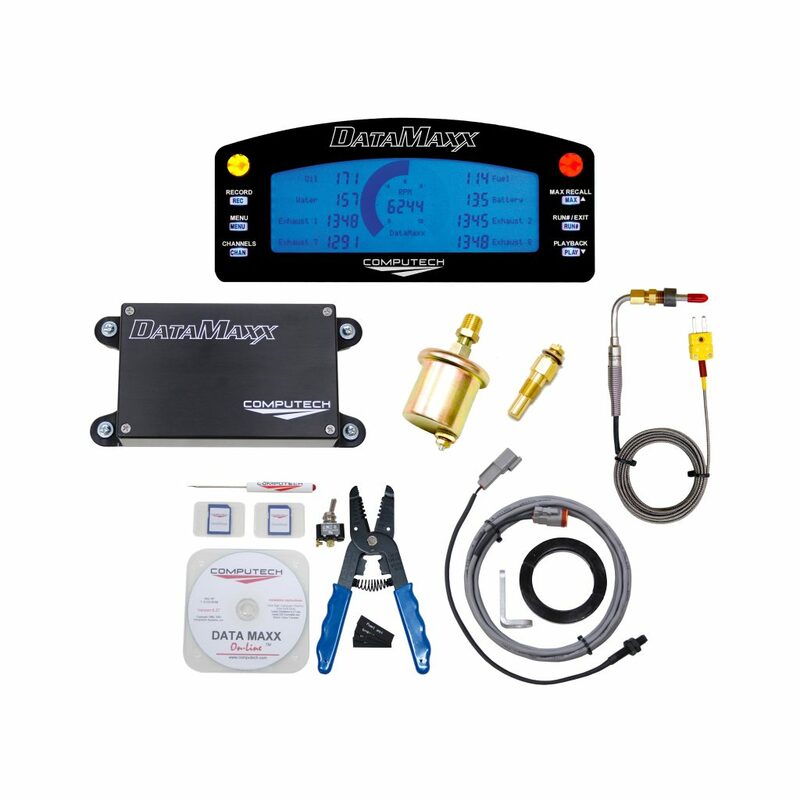 Complete color coded Wiring Kit with connectors and color coded diagram professionally wire your race car for years of trouble free racing.